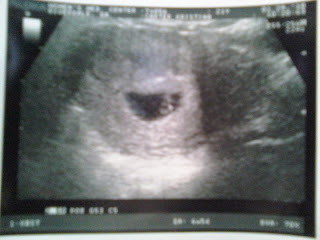 Baby C - Due September 22nd, 2010! I went to the doctor this morning and had my ultrasound done and I was just amazed when I was able to see our precious little baby on the screen and could watch it's little heart beating! It was an experience that I will NEVER forget! There is nothing like it in the world. Everything with the baby is good, the heart rate was good and strong. We are soooooo excited!!! I've been dealing with ALL day morning sickness. I wake up with it and go to bed with it. Does anyone have any suggestions as to what might help calm it down some? I'll be 6 weeks Prego on Sunday! I went to the Dr on Wednesday and all is well...thankfully! I will be 6 weeks along on Sunday and I am SO excited! I have to go next Friday for an ultrasound to see exactly how far along I am. They believe they are right on target though. My due date is September 20, 2010...I know that is prone to change during the pregnancy, but at any rate...I will get my baby for a birthday present, mine is the 22nd! Some have commented that there is no way I could be showing so soon, actually there is. My mom was in maternity clothes by 2 months as was my sister. So it is entirely possible that I am already showing...believe me, it's not bloat or gas...that would go away! LOL It's been a steady "baby bump" since about a week ago. Josh and I still can't hardly believe that we are going to have a baby!!! We are SO thrilled and can't wait to meet our precious little baby!!! 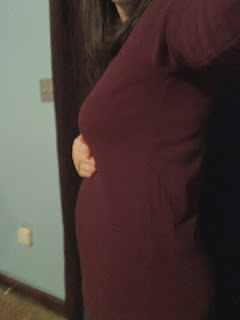 Well, here it is...the baby bump! I did more research and found that I am probably 4 to 5 weeks along. I'm so excited! 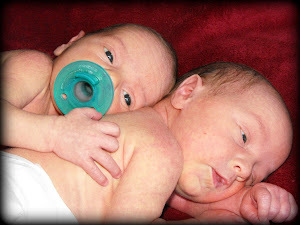 Pray that we will find that all is well with the baby when we go to the doctor tomorrow morning. I had to change the options for my comments. I have been getting some really nasty comments that contain both very vulgar language and accusations. I don't need the stress of those comments any more. Without going into too much detail, I do want to explain what was said so it will be better understood as to why I am no longer allowing anonymous comments. One comment began telling me how I must have stepped out on Josh because I had "the kissing disease" and he didn't. Let me explain that one right now...I had mono when I was 13 or 14, and I am almost 100% sure that I got it from a public drinking fountain, and for the simple fact that I had it then meant I still have it, it just flares up from time to time. That is why Josh didn't have it. There were several names in with that comment that I won't repeat, they were very vulgar and the whole comment was filled with profanity. The other comment that I received just this morning was telling me that they hope I die in child birth, and that the baby dies as well. I just can't take these very abusive comments anymore. I'm for those that commented under anonymous and were nice and respectable, but due to what I am dealing with, I have no other choice. I'm truly sorry! Please pray for me and Josh as we deal with this. 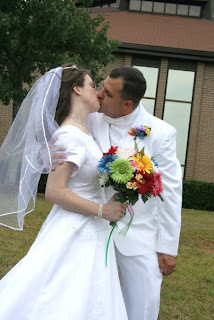 I know I am 3 days late on this, but on the 11th of this month Josh and I celebrated 6 months of marriage! 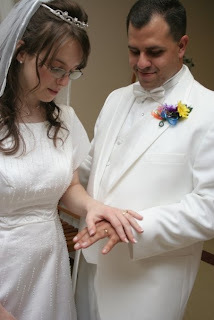 It's so hard to believe that we have been married for half a year, time sure has flown! Another Day at the Doctor! I spent what seems like an entire day at doctors offices and the hospital. I had pain in my stomach the day before yesterday and all through the night and through the day yesterday, so Josh insisted that I go get it all checked out. So, to be the obedient wife that I need to be...I did. I don't know yet how far along I am. I am assuming that I am only about a week and a half possibly 2 weeks. I go to the OB next Wednesday. So pray that everything will go smoothly with the pregnancy. We are so very excited! Oh, I did find out that the pain that I was having is normal, it's just my body getting use to the changes that are taking place right now. I was very relieved to hear that!!! The online pregnancy calculator says that I am due in September around my birthday!!! I've gotten some very encouraging comments from some of y'all about Josh's job. I didn't mean laid off, his place of employment had a 5 weeks shutdown, they call it a lay off. That is what I meant, but with Yamaha using that term...I used it. Sorry for the misuse of words on my part! I know it's almost been almost 2 months since my last post, I've been SO busy! Josh and I are doing great, I had some comments asking if we were okay. "Even in the valley God is good!" I guess it was about 4 weeks ago that our house flooded due to a constantly running toilet. We call insurance and they sent a crew out and they did their drying and tearing out, then it took about a week to get the other crew in to paint and replace baseboards. Then another crew had to come in and do the carpet. We finally got our house back the day before Christmas Eve, they finished the carpet that day and boy were we glad of it! It took us probably a week to get everything put back to where it belonged due to Christmas with the family. Christmas was great! We really enjoyed getting together with both sides of the family. New Years was great as well, we spent that with my parents just chatting and watching football, then we got together with my in-laws on the 2nd and spent the evening with them watching movies. Last year was both a great year because I married the love of my life, and a horrible year due to all that had taken place with the murder of my uncle. Josh and I have had hard time financially here lately due to him being laid off for 5 weeks, there were times that I thought that maybe God had forgotten about us, but just when I would start to think that way God would show up and remind us that He still loved us and that He was going to take care of us. God has been good and He WILL continue to be good no matter what may come our way!